Houston area residents who are looking for quality tire services for their Jaguar can take a closer look at some of the many automotive service specials offered by Jaguar Southwest Houston. Your pride of ownership in your Jaguar can be intense, and you understandably want to continue to feel great about your luxury vehicle. 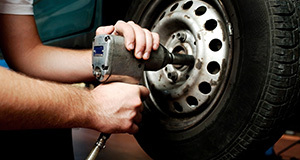 Essential maintenance, such as regular tire service, can go a long way toward your continued enjoyment of your vehicle. Tire maintenance service performed by our team at Jaguar Southwest Houston is essential for the overall condition and value of your vehicle, and its benefits go beyond that. Consider that the condition of your tires plays a direct role in your Jaguar vehicle’s fuel economy, its performance on the road and its ability to slow and stop safely when needed. The technicians at Jaguar Southwest Houston are available to serve you during our convenient hours of operation throughout most days of the week, making it easy for you to get the specific tire services that are needed today. You understandably want only the most well-qualified individuals to work on your vehicle. When you take your Jaguar to other Houston area service centers, you may not be certain what the qualifications are of the auto technicians who may be assigned to your vehicle. At Jaguar Southwest Houston, we want you to feel confident about the services that we provide to you. One important step that we take to ensure your satisfaction with our many automotive repair and maintenance services is to only allow certified auto professionals to work on our clients’ vehicles. Through the certification experience, our auto technicians receive the education and training necessary to deliver impressive results for tire services and for all other services that your vehicle will need over the years. Remember that our experience and training enable us to work on all makes and models, making us your leading choice for all of your vehicles’ auto service needs in the Houston area. When it comes to getting tire services on your Jaguar, you cannot take chances with low-quality services and parts. After all, everything from performance and safety to future repair needs are affected by your tires. 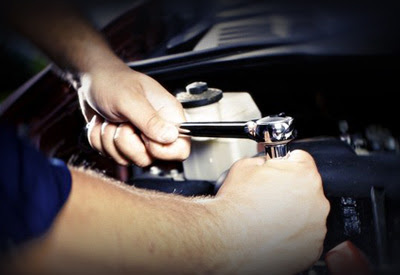 At Jaguar Southwest Houston, our knowledgeable auto service team understands how essential it is to use quality parts for work that we do on our customers’ vehicles. Basic tire maintenance does not usually require the use of replacement parts, but a tire replacement, strut service or shocks service may require new parts. Rather than using unproven aftermarket parts, Jaguar Southwest Houston’s service department installs OEM replacement parts for all types of work that we complete. While aftermarket parts are unproven, OEM parts are those that are similar to original parts that Jaguar used when it produced your vehicle. 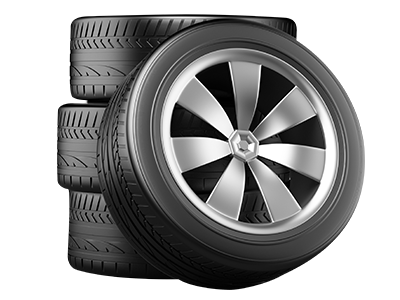 Jaguar Southwest Houston has a convenient location to serve you, and we make it as simple and straightforward as possible to get needed tire services for your vehicle. We understand that you may be eager to get in and out of the service center quickly without sacrificing quality workmanship. When you call ahead to make an appointment for tire service through Jaguar Southwest Houston, you can expect great things for your vehicle. Contact us today to request a tire service appointment.